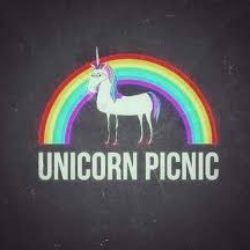 Unicorn Picnic is Lynsey Dyer's mixed multimedia production company. From podcasts to feature length films, from high end commercial work to quick guerilla style web edits, Lynsey has been on both sides of the lens for the better part of 5 years. With a team of seasoned film veterens on her roster, she brings levity, light and a different angle to the production game. This was Lynsey's foray into action sports feature film production. Lynsey produced, directed and starred in the community financed film. Pretty Faces represented a paradigm shift in female action sports, showing females not only have a place, but they friggin rip. The film remains a "cult classic" among women (and progressive men ;) ) throughout the world. Fun is infectious, and its also part of Lynsey to her core. The sh*t skier girls say series was a fun way to creatively place sponsor products into a short web edit that realized strong viewership throughout the world.